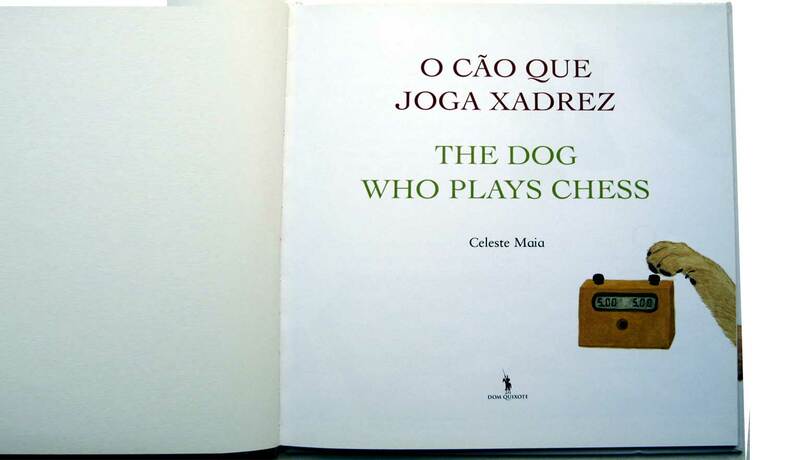 Maxi is a dog who plays chess. 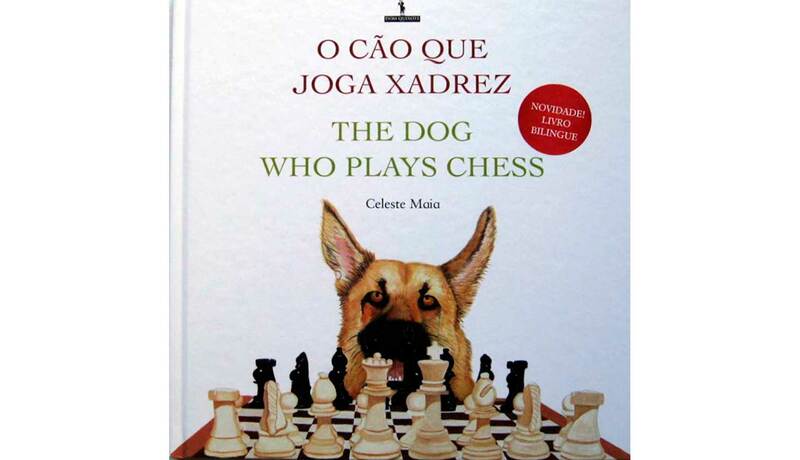 Nicolas, his master and best friend, is participating in a chess championship and needs his help. 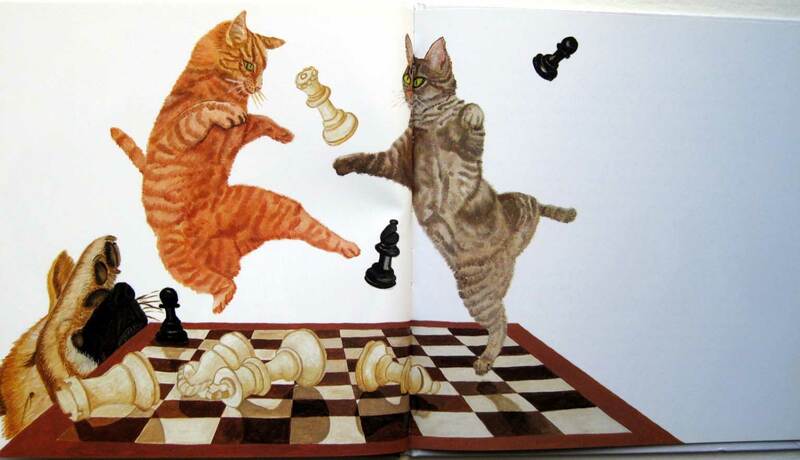 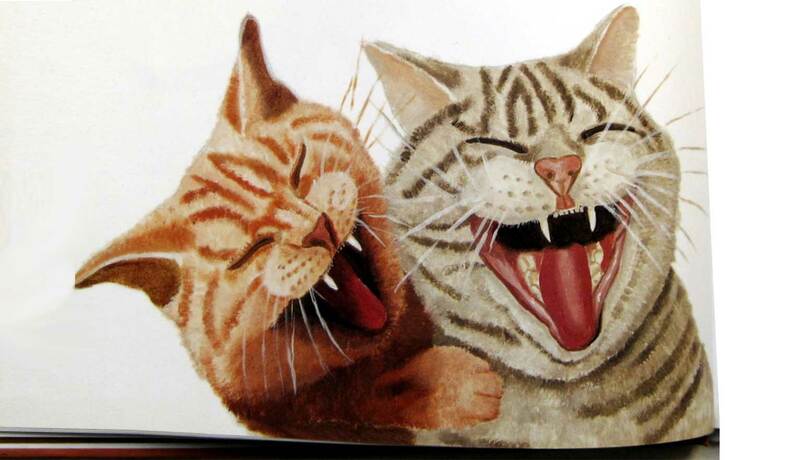 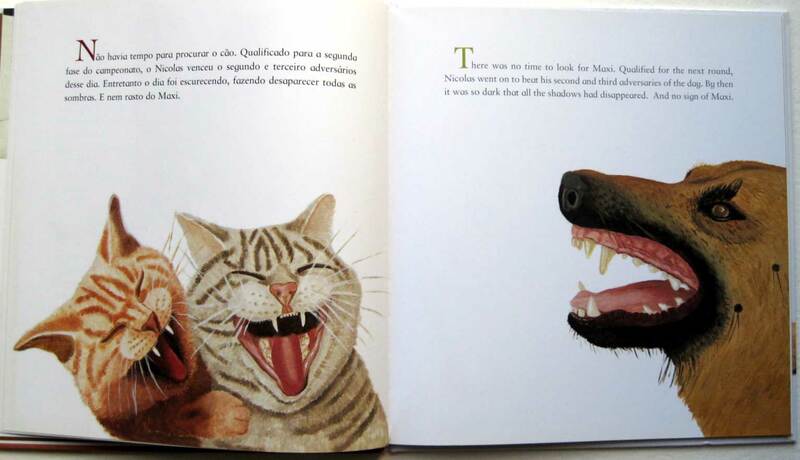 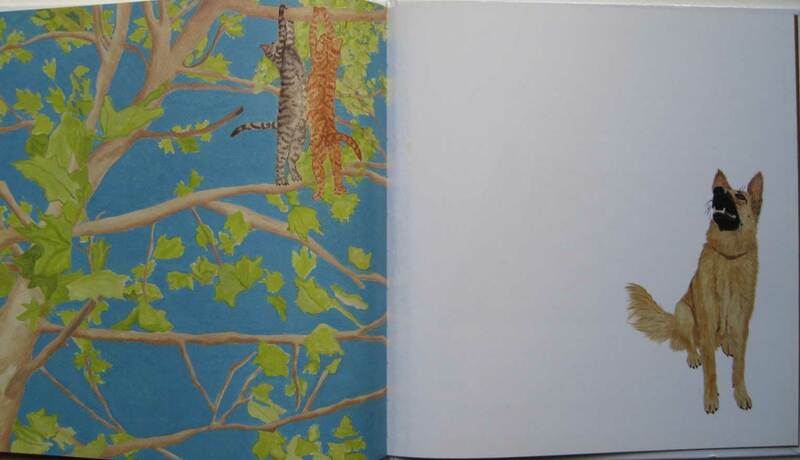 Together they play against good players, and face unexpected difficulties, like the arrival of two fierce cats. 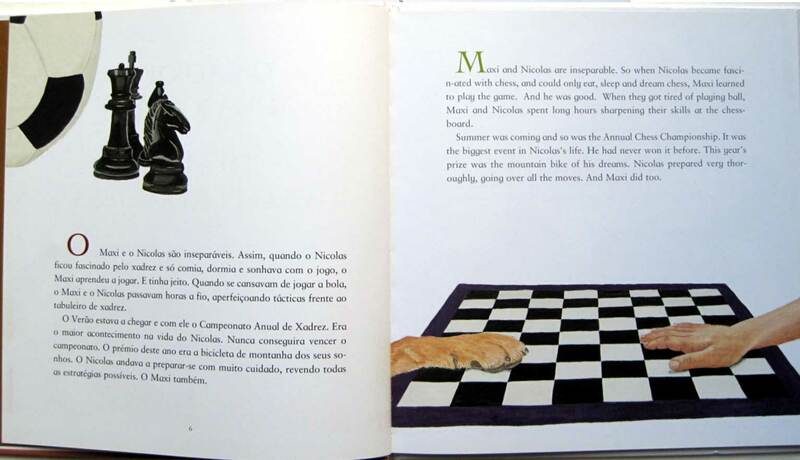 This book is an adventure which has the game of chess as background, where Nicolas discovers the importance of fair play in life and sport.